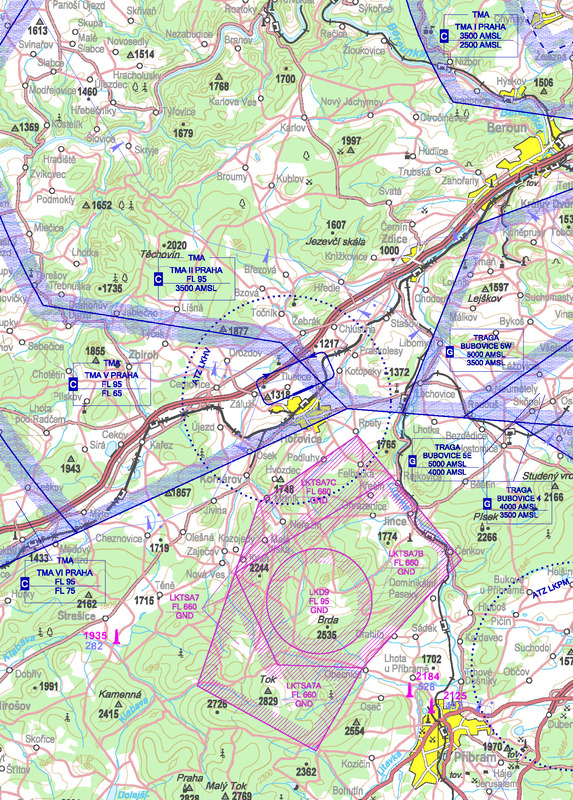 The traffic circuits are to be carried out in order to avoid Tlustice village, downwind leg at the level of highway Praha-Plzeň (besides gliders and state of emergency). South part of ATZ LKHV is bounded by LKTSA5C. Threshold of RWY 06 shifted behind the road Tlustice - Hořovice. Threshold of RWY 24 is shifted as well. Be very careful because of passing vehicles while crossing Tlustice - Hořovice road. 1.1Snow clearance is not provided. 1.2Threshold of RWY 06 shifted behind the road Tlustice - Hořovice. Threshold of RWY 24 is shifted as well. 1.2.1Road shall be overflown during take-off and landing in minimum height 15 m from the lowest part of aircraft or towed object. 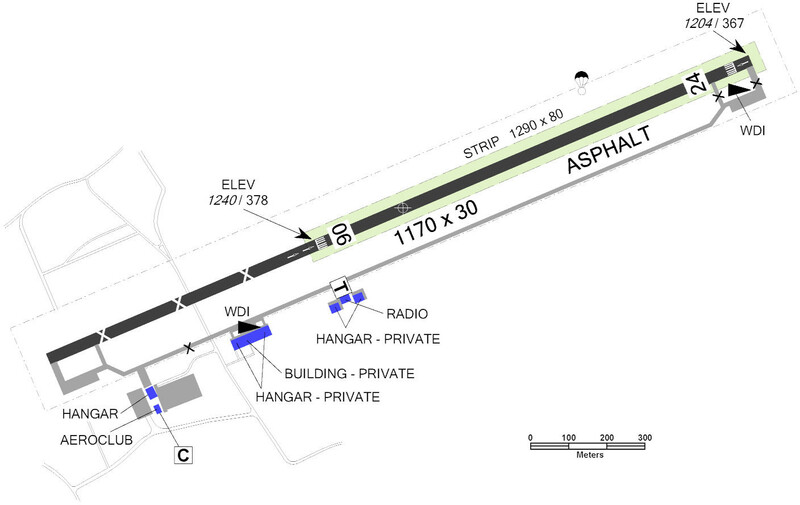 1.3RWY is used for taxiing (unless Providing information to known traffic Hořovice determines otherwise). 1.4Be very careful because of passing vehicles while crossing Tlustice - Hořovice road. 1.5Arrivals in and outside operational hours of Providing information to known traffic are possible by prior agreement with AD operator only. 1.6TWY on AD LKHV closed. Taxiing according to instructions of unit Providing information to known traffic. 1.7Caution is advised during the arrival and departure because of possible aircraft model operation left from THR RWY 24. 1.8Arrivals and departures from LKHV without two-way radio communication by prior arrangement with AD operator only. 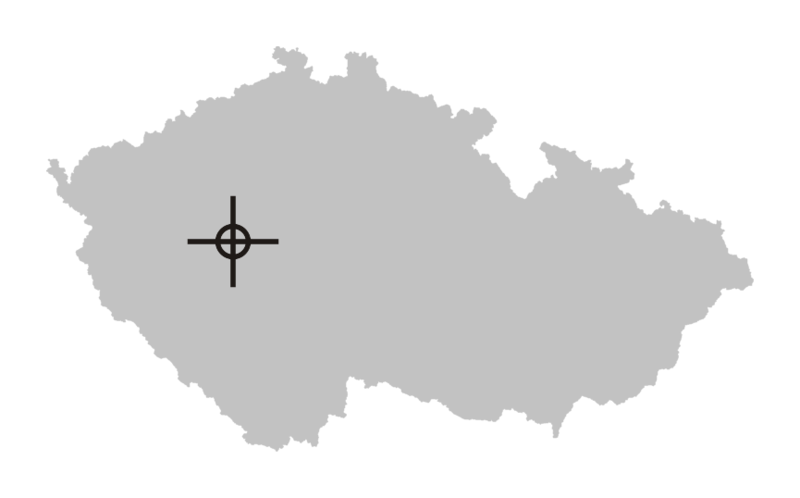 1.9South part of ATZ LKHV is bounded by LKTSA5C. ultralight aircraft 1700 ft/520 m AMSL. 1.11.1The traffic circuits are to be carried out in order to avoid Tlustice village, downwind leg at the level of highway Praha-Plzeň (besides gliders and state of emergency). 1.12In case of arrivals, departures and providing aeronautical information about AD LKHV contact only the head of air traffic or the deputy head of air traffic. 2.1Providing information to known traffic in English language O/R in advance. 2.2Arrival/departure of an aircraft with length greater than or equal to 9 m or with maximum fuselage width greater than 2 m is permitted only by prior agreement with the aerodrome operator (to arrange rescue and firefighting services). VFR-SUP 16/18 HEMS heliport Domazlice - VFR day operation only.